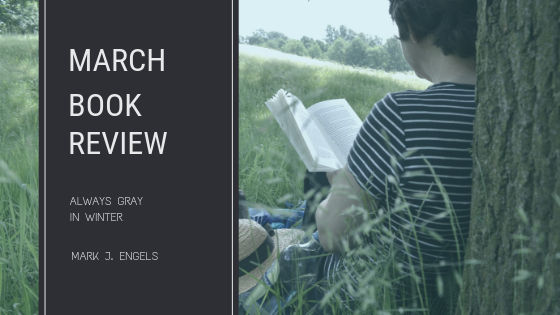 Welcome to the first book review of Spring 2019. Today, I'm looking at science fiction and furry writer Mark J. Engels' debut novel, Always Gray in Winter - which is also the first in a series. The book for this month's review was provided to me for free by the author in exchange for a fair and honest review of their work. Also, the cover art is being used with permission of the author. When I first started reading Always Gray in Winter, I was not quite sure of what to expect. Werecats (and other were-animals) tend to be associated with fantasy/paranormal stories, so I wanted to see how they were handled in the science fiction realm. Sometimes when I'm reading fiction that deals with werecats/werewolves/etc, find there is a ton of focus on the character's shifts between human and animal forms. I'm fine with it once or twice as a way to help ground readers in the world the author has created, but unless there is an important difference between shifting scenes (helping convey the character's state of mind, etc), I'm going to get annoyed with it after that. Always Gray in Winter strikes the right balance for me in that respect. It's not too little and not too much - just enough. Another thing I enjoyed was how Engels was able to keep a military science fiction orientation to the story when it easily could have gone in other directions. The central conflict of the story is who should have the Morphogenic Synthesizer (MGS) technology (designed to help curb the deadly and destructive blood lust that can overtake werecats when they shift while they are angry or upset, from what I understood in the story), and how it should be used. Next to last is Pawlina (aka Pawly), who has become one of my favorite female characters of all time. When Pawly goes into hiding after the incident that leaves her twin brother paralyzed and her boyfriend under threat of court martial, she puts her blood lust to use to bring justice. Her first appearance in the story comes in the middle of rescuing human trafficking victims. And when she's brought back into the main conflict of the story, she doesn't spend a lot of time with groveling apologies or immobilizing guilt. When Pawly needs to explain what happened and why, she does so and apologizes. She is convinced that leaving was the right action to take, but has remorse for the way it's affected the people she loves, like Lenny. I loved that the why of Pawly's departure was understood - at least by her family - by the time she came back. So many stories make this story line super dramatic, and it was refreshing to read a story without that extra drama. The last thing I want to talk as far as things I enjoyed was the overall character development and dynamics between characters. I understood who the characters were, why they did what they did, and how their relationships with each other worked. Nothing anyone did felt out of character. My only real gripe with Always Gray in Winter is not the story itself, but the transitions between the moving pieces of the story. Engels often jumps back and forth between past and present, and from one character's point of view to another, but it's not always clear when the jumps and flashbacks are happening. I often found myself having to go back a few paragraphs or pages in order to pick up where I lost the trail. Simple problem to fix, but it disrupted the flow of an otherwise fantastic story. 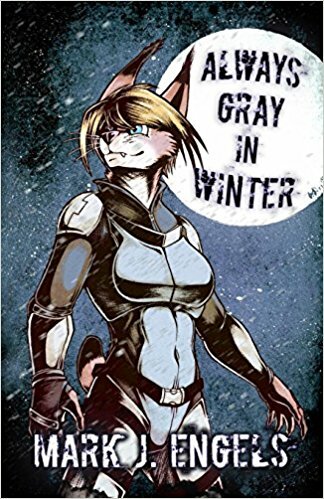 In case it was not already clear, I absolutely enjoyed Always Gray in Winter and think you should read it too. Its cliffhanger ending has me excited to read the second book in the series, due out later this year. "Pawly...has become one of my favorite female characters of all time." WOW, such a wonderful review, Catherine! Thank you for reading and so glad you enjoyed.